Lisa Maree Williams/Getty ImagesNew Zealand Prime Minister Jacinda Ardern attends a press conference on November 5, 2017 in Sydney, Australia. A former CIA China expert proposed cutting New Zealand out of the Five Eyes intelligence sharing arrangement with the US, UK, Canada, and Australia. The ex-analyst said the action should be taken in response to New Zealand’s prime ministers’ denials of any influence attempts by the Chinese Communist Party (CCP). Both Australia and Zealand have been hosting intense discussions over CCP influence. Australian media recently confirmed a secret government report that uncovered CCP influence within all levels of politics. A former CIA analyst has raised the prospect of kicking New Zealand out of an international intelligence-sharing alliance, which includes the US. Five Eyes is the name of the intelligence alliance between the US, UK, Canada, Australia, and New Zealand that has routinely shared sensitive intelligence since 1955. But failure to respond to interference attempts by the Chinese Communist Party (CCP) should endanger New Zealand’s membership, Peter Mattis, a former CIA China expert testified to the US-China Economic and Security Review Commission last month. “In New Zealand, both the last prime minister, Bill English, and Jacinda Ardern, have denied that there’s a problem at all,” Mattis, now a fellow at The Jamestown Foundation, said. “To quickly move to a recommendation, I think that at some level the Five Eyes, or the Four Eyes, need to have a discussion about whether or not New Zealand can remain given this problem with the political core, and it needs to be put in those terms so that New Zealand’s government understands that the consequences are substantial for not thinking through and addressing some of the problems that they face. The committee heard from a number of experts on Beijing’s relations with US allies and its attempts to influence these nations, a subject of intense discussion in New Zealand and Australia in recent months. “Australia and New Zealand both face substantial problems with interference by the CCP. In both cases, the CCP has gotten very close to or inside the political core, if you will, of both countries,” Mattis said. But its the two different reactions from their governments that warrants such drastic action by the international intelligence agencies, believes Mattis. Australia commissioned a secret government study that uncovered CCP attempts to influence all levels of politics, and subsequently proposed a raft of new legislation targeting espionage, foreign political donations, and foreign interference. But New Zealand, according to Mattis, has not done enough. In particular he highlighted the case of academic Anne-Marie Brady. Brady, who has been researching Beijing’s overseas influence arm United Front, had her home and office burgled in the last six months. Laptops, phones, and a flash drive were taken, and days before one of the break-ins Brady received a warning letter threatening “push back” against those who oppose Beijing. “With respect to the reactions, and although the current prime minister has said that the attempts to intimidate and to steal materials from scholar Anne-Marie Brady will be investigated, that’s a far cry from any sort of productive action,” Mattis said. 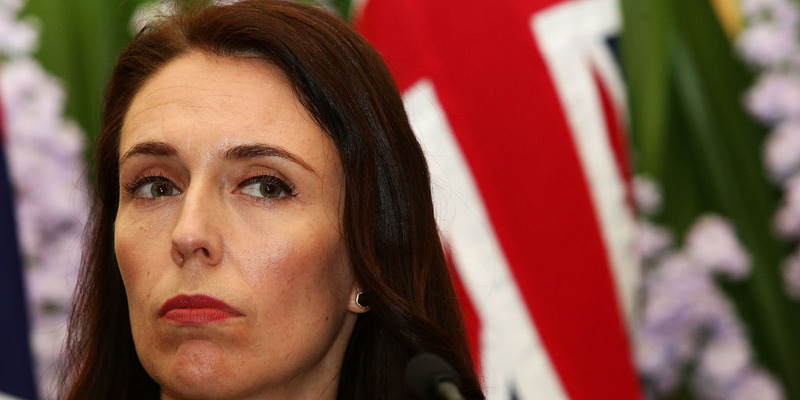 Ardern responded by saying none of the Five Eyes agencies had raised such concerns with her. Mattis’ testimony also described how the CCP can wield its influence by having CCP-backed individuals leading Chinese community groups. In doing so, politicians who seek their advice are hearing from the CCP rather than local Chinese communities. Although Mattis held up Australia’s proposed legislation as a way of dealing with Beijing’s interference attempts, he made it clear that the legislation means little without enforcement.